Imagine an exciting delivery arrives at the door. Twenty-four different bottles of beer imported from around the world - Scandinavian dark beers, Bavarian Weiss beers and everything in between. They have been purchased from a specialist website because, even in London, they are impossible to find. The reason for their rarity is they have one thing in common, they are all alcohol-free. Alcohol free beer fans have emerged from the ‘Dry January’ craze, not minding it as much as they thought. Now they are on a crusade to find the best a lcohol-free beer money can buy or ‘alcohol free beer that tastes as good as beer’. There is a relaxing, placebo effect of drinking alcohol free beer that tastes like normal beer. But, how difficult is it to find good alcohol-free beer on the high street? Are we perhaps nearing the tipping point of popularity for alcohol-free drinks? Alcohol-free beer is not new; anyone of a certain age will remember Billy Connolly’s close association with Kaliber throughout the 80s and 90s “Ten pints and it still looks like a dog”. But the UK has never truly jumped on the alcohol-free bandwagon. There are less than one in five beer drinkers trying alcohol-free beer in the past year compared with three out of five in Spain. And although growth has been steady over the past five years, we have yet to reach Tipping Point. In Malcolm Gladwell’s marketing classic he defines Tipping Point as “that magic moment when an idea, trend, or social behavior crosses a threshold, tips, and spreads like wildfire.” And for a Tipping Point to occur three things need to be in place, the social context, a stickiness factor and small group of passionate consumers. Taking each in turn. At no point in recent history has our culture been more fertile to the idea of alcohol-free drinks. Our government is telling us to drink less to stay healthy, drink driving limits are being reduced and our once rebellious youth are drinking less and less. In addition, two months a year ‘Sober October’ and ‘Dry January’ are dedicated to being alcohol-free. This all creates powerful social context. Beneath the alcohol-free drinks movement is a sticky, counterintuitive idea - “alcohol free drinks that taste like alcoholic drinks”. This is a powerful meme. The problem is that drinks that deliver on this claim are not readily available. 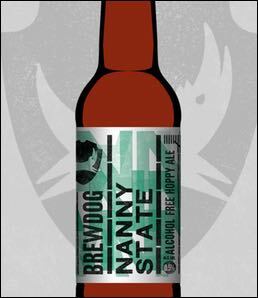 Nanny State from Brewdog is the only alcohol-free beer that delivers on the high street and it’s only sold at selected specialist craft alcohol shops like Borough Wines. 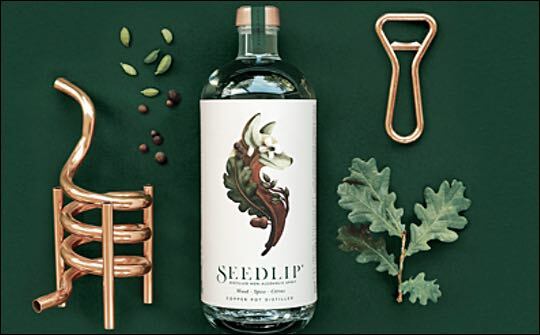 Niche products like Seedlip are finding a voice in the alcohol-free spirits markets and alcohol-free wine still has to capture our imaginations. You can’t be seen in a checked shirt in the UK without joining the craft beer enthusiasts, but where are the alcoholic-free evangelists. What’s their shirt? If alcohol free evangelism only comes after trial, this key group needs a positive new name, unlike (depressing) Dry January or (sad) Sober October. With over two million people taking part in Dry January alone, they are a substantial and passionate group to engage. The business opportunity for the alcohol-free market is ready. It needs a major player to crack the recipe and sponsor Dry January. I believe we are not far from the Tipping Point.